The soul of a community is easy to discover when you’re based in its heart. Food and wine are reasons for visiting McMinnville, but there are many things to do beyond the plate and glass. 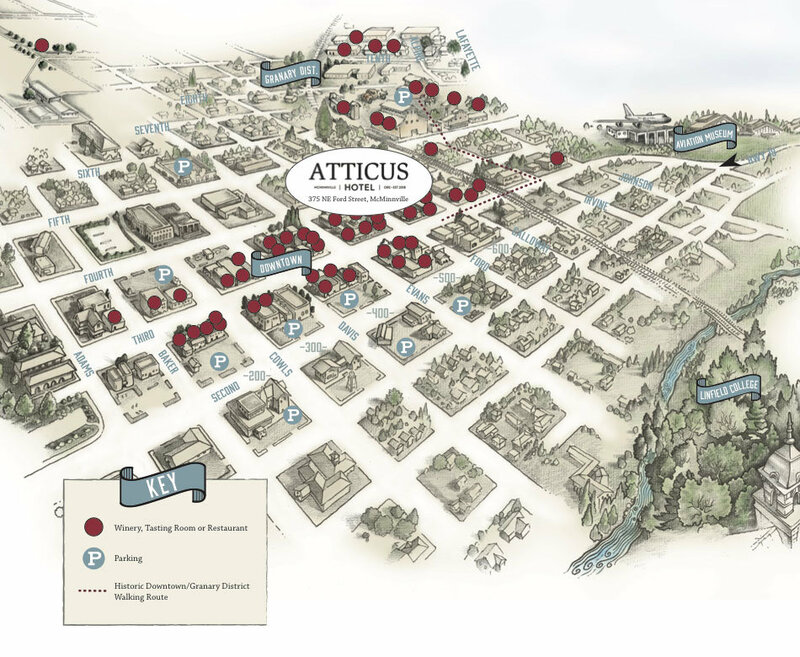 The Atticus Hotel is your locally-informed means to many, many unforgettable ends. The Atticus Hotel’s savvy staff offers an insider’s perspective you can’t get from a guidebook or internet search. Allow us to share some of our favorite area gems and set you up with the most memorable means of getting there.